Does renting work out cheaper than owning a home? If the time has come for you to move out from the family home, you’re probably thinking about where you’re going to live. In many cases you may be faced with an interesting choice; should you rent a home or buy one. If you’re unsure which option will be cheaper, its worth considering all aspects of both renting and buying before you make your choice. The region in which you buy. In recent years, various surveys have shown that for first-time buyers in particular, the monthly costs of buying a home have worked out cheaper than renting one. But, why is that? There are a number of reasons. First of all, with mortgage interest rates still so low, a long-term mortgage is typically the cheapest way to borrow money. Another factor has been the level of average rents. In most regions across the UK, demand for rental homes has been high, which has helped to push those rents charged by landlords, higher. Another detail that’s relevant is while you pay your lender interest on the loan, when you’re renting, your landlord doesn’t just charge you the amount of the mortgage. 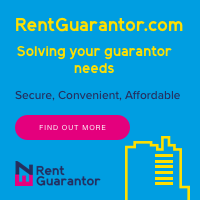 Rents reflect things like an allowance for wear-and-tear, charges the landlord might be paying a management company, room to make a profit and also, market rates which can fluctuate. Indeed, according to Santander Mortgages, for first-time buyers in 2018, buying a home was cheaper than renting across all UK regions. Specifically, the lender calculates first-time buyers could save an average of £2,250 per year if they bought a home, rather than rented one. However, that’s based on a 26% deposit and an average mortgage interest rate of 2.48%. According to the latest Halifax buying versus renting report, meanwhile, the difference between the annual costs of buying and renting shrunk to £366 in 2018, from £900 in 2017. The UK lender said the main reason for this was the continued increase in average UK house prices, pushing up the average mortgage required to buy a home. However, while the annual costs of a mortgage are typically lower than that of a similar rented home, there are other important factors to consider when deciding between buying or renting a home. First of all, buying a home is only cheaper than renting if you already have a deposit of thousands of pounds. In addition, if you buy a home that requires a lot of work, then your maintenance costs will be, not only above average, but also much higher than your maintenance related charges for a rented home. If you’re moving to a new part of the country, renting can be the right option to get to know the area. If you buy a home and find you really don’t like the area, it will prove a costly decision if you end up selling that home quickly. Where prices are rising it can pay to move quickly for a home you want to buy. But if prices are falling or the market is uncertain, it may make sense to rent for a while to bide your time and make a decision at the right time. For contractors, who move around the country for work, buying a home to live in may not work out to be the most financially sound decision if you need to pay for accommodation elsewhere in the country. As you can see, while buying a home can work out cheaper than renting one, it isn’t always the right option for everyone moving out of the family home. Each situation is different and you should consider all the relevant elements of buying versus renting before making your decision.